Peterson and her husband, Ohio Sen. Bob Peterson, farm soybeans, corn and wheat on a 2,700-acre farm in the western part of Fayette county near the Clinton and Greene county lines. https://www.recordherald.com/wp-content/uploads/sites/27/2019/04/web1_Sherrod.jpgU.S. 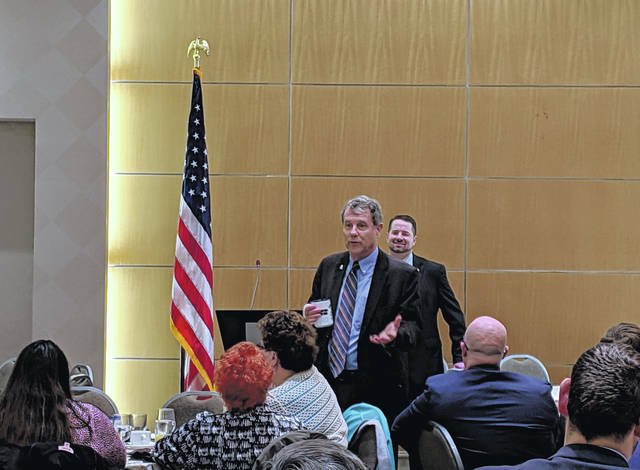 Sen. Sherrod Brown (D-OH) speaking to Ohio county Farm Bureau presidents and other attendees during the 73rd Ohio County Farm Bureau Presidents’ Trip to Washington, D.C., March 13.